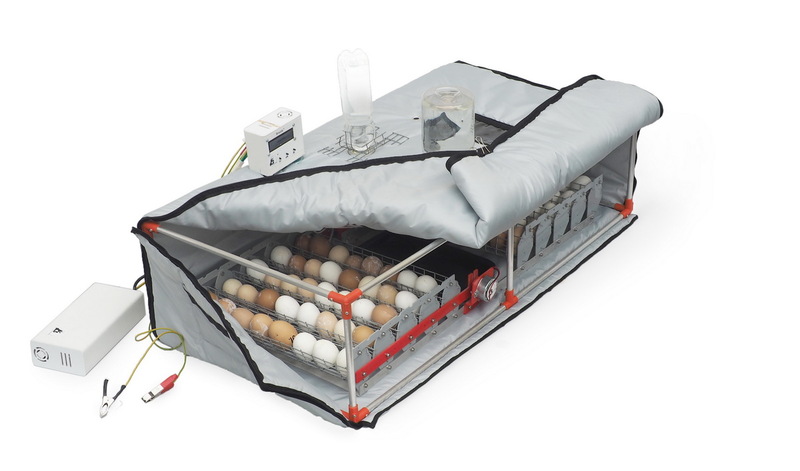 Incubator for eggs Broody Double Micro Battery 90 is designed to hatch young farm poultry from eggs. 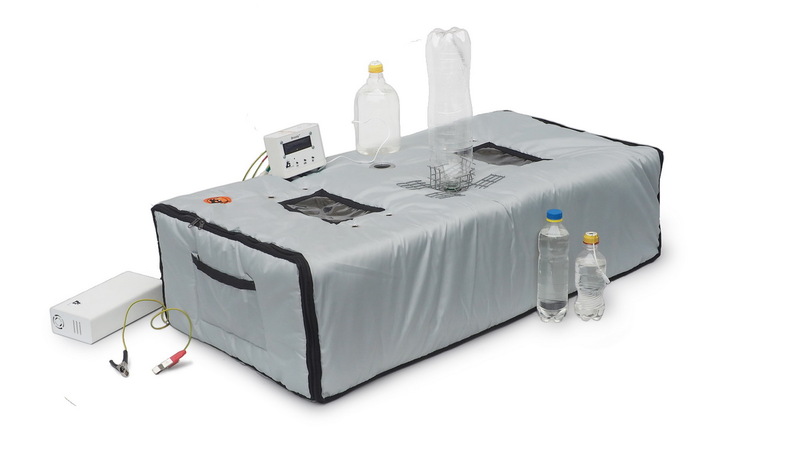 The unique humidifier of the incubator achieves a maximum humidity of 96% in 8 minutes. Special replacement element – hydro-aerator nozzle easily screwed onto any PET-bottle for food liquids. Humidity in the incubator is provided by means of two injectors: main and auxiliary. The incubator switches to backup power from the battery (and vice versa) in automatic mode – when the voltage in the household network is lost, the electronics switch the power to work from a 12 volt battery. 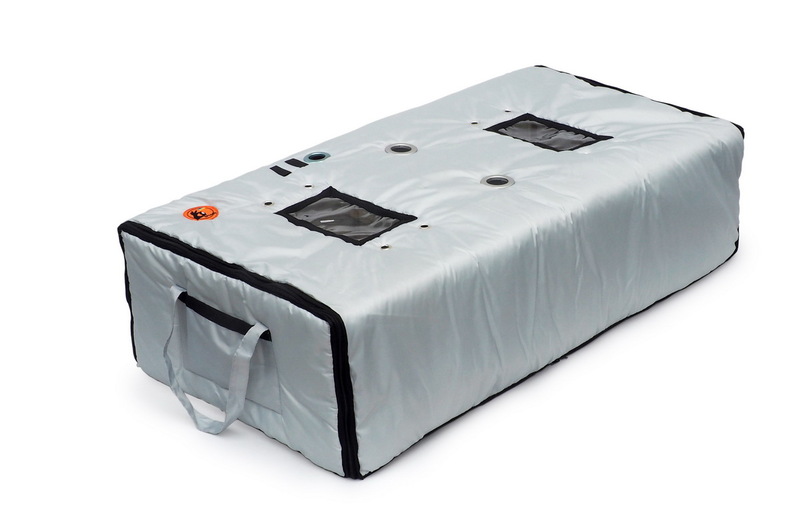 Disinfection of the incubator and its cleaning are provided by washing a removable heat-insulation cover in a washing machine. 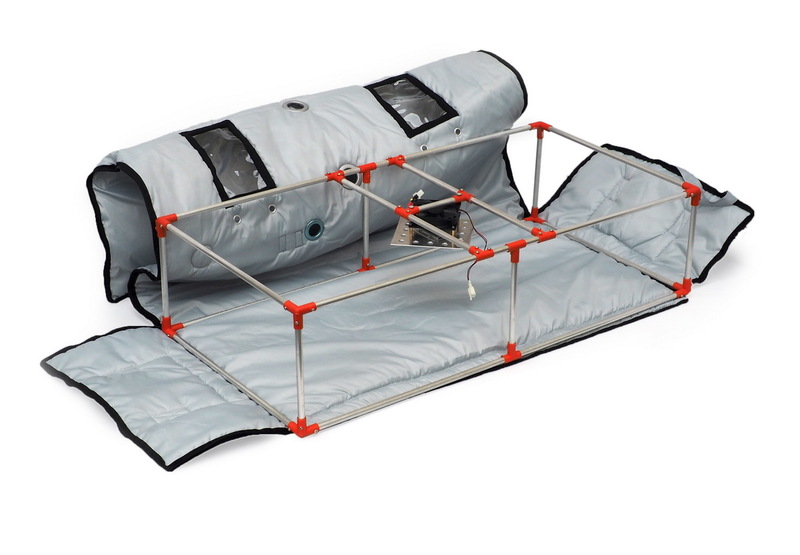 The cover is made of a special wear-resistant waterproof material, which allows long-term use (10 years). Automatic tray (2 pcs.) 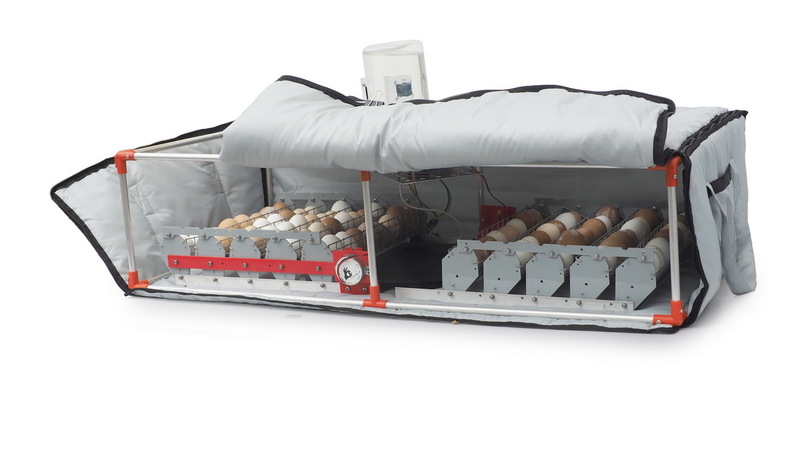 Is designed for a capacity of 40-45 chicken eggs. Equipped with a motor with a safe power supply of 12 volts. The period and duration of the coup are set by the user using the incubator control unit. The folding / folding design of the incubator allows the incubator to be folded into a compact box during transportation or long-term storage. In the incubator, chickens, ducks, guinea fowls, pheasants, turkeys and other poultry breeds with an average egg size and weight of 20-70 grams can be hatched. 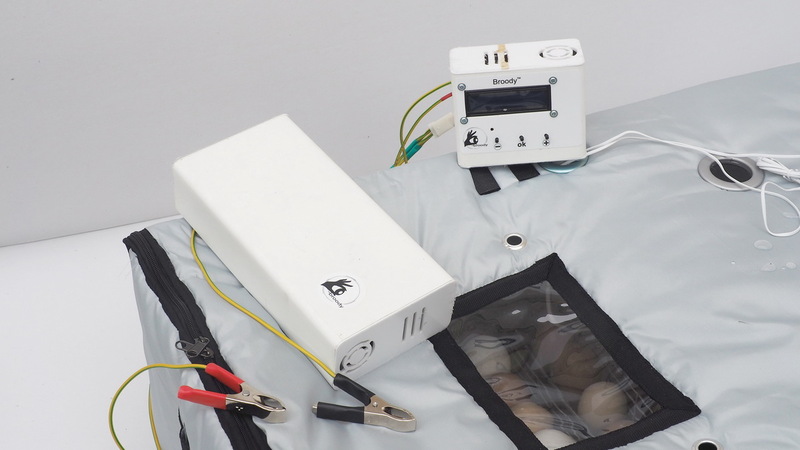 When using special inserts (Q28) in tray cassettes, the incubator can be used to remove the chicks of smaller bird breeds, with an egg weight of 9 to 20 grams: quail and others. Using trays with enlarged cassettes allows for incubation of larger bird eggs, with an egg weight of 70-150 grams, such as goose (including giant breeds). 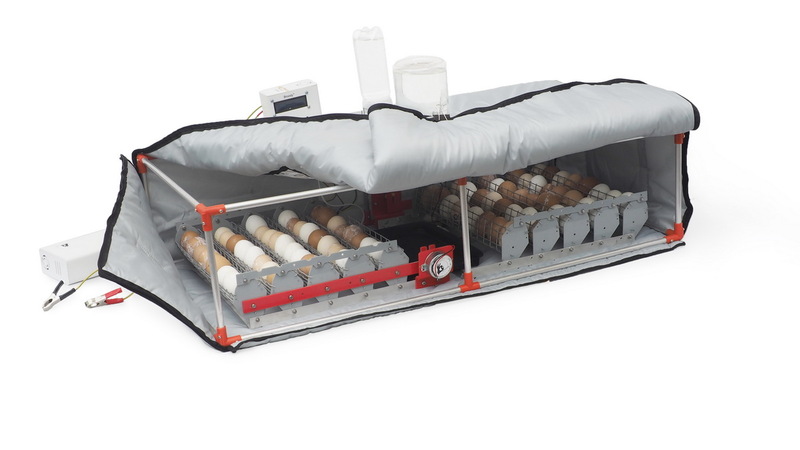 Incubator Double Micro Battery 50 – is intended for poultry-lovers engaged in breeding birds of different breeds in private farms.